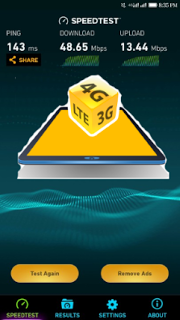 MTN NG makes their 4G LTE service available for all states in Nigeria. Following the acquisition of Visafone by MTN earlier in 2016, they have launched their 4G network and makes 4G data plans available for Nigerians while some of the users are already enjoying it. If you have confirmed your smartphone that it's compatible with MTN 4G network and you have swapped to MTN 4G compatible sim. Dial *444# to check and choose MTN 4G data plan suitable for you. Below are some of their available data plans.